STEUBENVILLE — A new venue will be the host site of what is an annual tradition for the Ohio Valley Business and Professional Women’s Club. 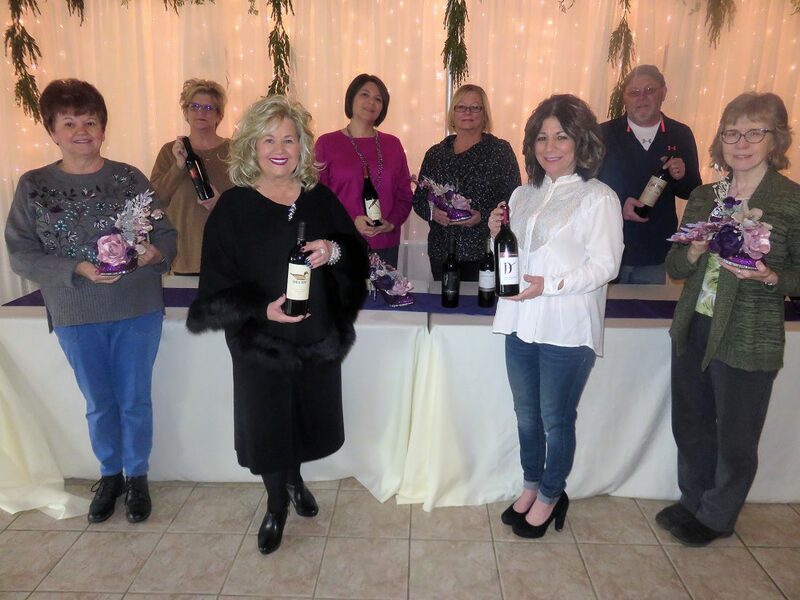 The organization’s “Wine and Shoe Extravaganza” on March 29 will applaud eight area residents up for Woman of the Year honors against the backdrop of an evening that offers light refreshments and wine; a Chinese auction; a 50-50 drawing; door prizes; celebrity servers; and a shoe competition in which all are welcome to participate. The fundraiser that generates money for the OVBPW to award annual scholarships is at a new location this year — Hidden Acres Lodge and Winery, owned by Jake and Lisa Kleineke. It is located at 33 Pattison Ave., Mingo Junction, in what formerly was Hickory Pit Lodge. Nicole Adamski and Julie Decker are co-chairs of the event with doors opening at 5 p.m.
Tickets are $25 and are available by contacting Phyllis Riccadonna, club president, at (740) 317-3868; Adamski at (724) 601-6360; or Decker at (740) 632-9972. The nominees this year are Rita Carapellotti, Lynnett Gorman, Jill M. Jones, Mary Fran Kowalo, Tricia Maple-Damewood, Amelia Taggart, Pam Thomas and Kim Weaver. The Woman of the Year winner is determined by popular vote among attendees at the event. 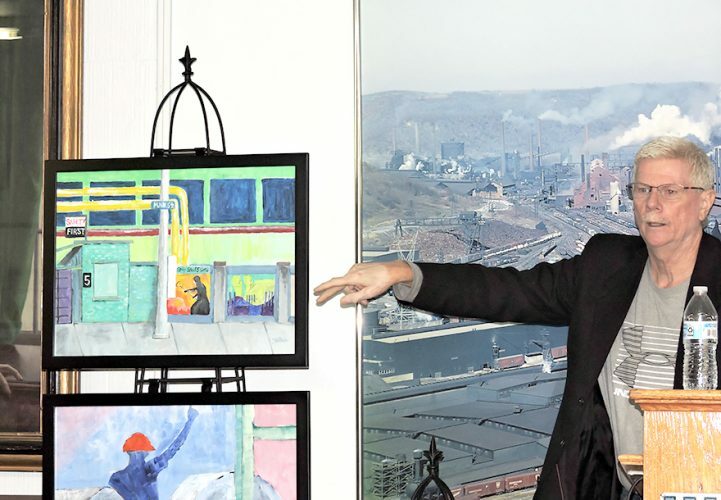 “Every year we try to recognize the gifted and hardworking ladies of the Ohio Valley,” Riccadonna said. “Many women contribute so much to their communities, without any expectation of credit. We are proud to honor them,” she added. The club awards a traditional scholarship; a scholarship for a nontraditional student; and a Nike Club scholarship. The Nike Club is a Steubenville High School organization mentored by the OVBPW. “I am honored to be one of the nominees for Woman of the Year and would like to thank the committee for the nomination and congratulate all of the other nominees,” Carapellotti, who was born and raised in Steubenville, noted in her information. “My parents, Francesco and Assunta Accordino, emigrated from Italy in the late 1950s. I am a 1979 graduate of Steubenville Catholic Central High and a graduate of Jeff Tech (now Eastern Gateway Community College). Upon graduating from Jeff Tech, I worked as a manager for Brooks in the Fort Steuben Mall and Antonio Da Pescara. “In 1986 I married Michael Carapellotti, and we were blessed with three amazing children who are my life. Throughout the years, my husband and I supported many local charities, fundraisers and events because we believed that in giving, we received the real gift. “This desire to help others continued with the creation of the Michael B. Carapellotti Charitable Foundation, which was founded by myself and my children,” she continued. “The idea for this foundation came about after my husband passed away, following complications from a dual transplant in 2014. While spending more than 40 days in the hospital, we saw firsthand the physical, mental, emotional and financial burdens faced by families of loved ones going through the transplant process. Because of this we have partnered with UPMC to support its Transplant Guardian Angels program, which assists transplant patients and their families during the transplant hospital admission by providing personal, nonmedical care to the patient and support to his or her family while their loved one is in surgery,” she noted. “Additionally we support the Family House, which provides an affordable ‘home away from home’ for patients and families who are going through transplants at UPMC. The charitable foundation currently hosts two fundraising events in the local area each year. The first is a Charity ATV Ride at Renegade Ridge ATV Park, and the second is a Halloween costume cruise aboard the Gateway Clipper along the Ohio River,” she noted. “In addition to the charitable foundation, our family, led by my oldest son, Franco, with the support of his siblings, Nikki and Michael, has opened various businesses in the local area with a special focus on the development at Franciscan Square. We currently own and operate Brooklyn Bagel on the Square and are involved in various other business ventures, including Bennigan’s Restaurant, Renegade Ridge ATV Park, Sixty Eight Properties and CLV Corp.,” she explained. “With the support of countless friends, local high schools and universities, churches and groups of all kinds, we filled a semi-truck and sent it to Louisiana. A similar story played out in 2017 when Hurricane Harvey hit Houston. I was again watching the news when I saw a pastor in a small boat pulling people from their homes. Upon seeing this, I reached out to Pastor Carlos Pleitez of the church of Poder e Milagros (Strength in Miracles). Pastor Carlos answered, and within the span of a week, the same support group rallied around this cause, and we were able to send two semi-trucks full of items to Houston where many people were helped,” she noted. “I am also a proud supporter of Molly (McGovern) at the Friendship Warming Center (in Steubenville). I have always felt there is a real satisfaction in knowing you’ve helped and possibly changed someone’s life for the better. In my personal life, some of my favorite things are spending time with friends and family, cooking meals for those family and friends and traveling, especially to Italy. I look forward to working with my family to further our business and charitable involvement in the local community,” she noted. Gorman received her bachelor of science degree and master’s degree from Franciscan University of Steubenville, and “I am a proud graduate of Steubenville High School,” she continued. Jones worked throughout Pittsburgh in small privately owned bridal salons and tux shops. “After many years in the business, feeling I could do it better, I knew it was my time to own my own bridal salon,” Jones noted. At 25 she opened her first store on state Route 19 in Peters Township. After four years of operating that business, she sold it to get married and raise her family. “Twelve years ago I moved to Weirton. 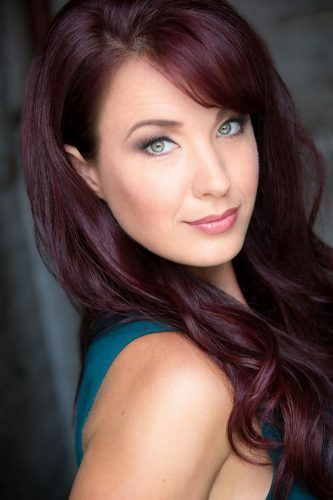 I became a divorced mom with two young children,” Jones continued. “I knew I had to do something big with my life to support two children and give them the life that I had growing up, a stable, love-filled home-life with parents able to be involved in everything I did, not an absentee parent stuck at work all the time, so with $500 in the bank, a dream and lots of prayers, I knew it was time to use my true passion again, and JJones Evening Wear was born,” she noted. Her first 500-square-foot store was on Marland Heights in Weirton. “I purchased 18 Jovani gowns — the largest gown designer in the country — sold two gowns, then got two more, sold four, then got four more, so on and so on until we had sold a few hundred gowns, and it was time to make our move to Main Street,” Jones said. “We quickly grew out of our new store there and found our current 10,000-square-foot location on Main Street where we now stock more than 2,000 gowns from 100 top designers and carry no debt on our business,” she continued. “We opened our second store, JJones Bridal and Evening Wear of Wheeling, on Jan. 20, 2018, and phase two of expansion will be complete April 1, almost doubling our current space,” she added. June will bring the announcement of the next location of JJones Evening Wear Pittsburgh. Born and raised in Wellsburg, Mary Fran Kowalo is the daughter of the late John and Frances Canestraro. She is a 1970 graduate of Brooke High School and earned a bachelor of arts degree in elementary education with a minor in early childhood and special education from West Liberty State College. She taught in Brooke County Schools from 1975 through 2009 and also taught at the Stifel Fine Arts Center in Wheeling, which included a class called Mommy and Me. She also taught summer camps there. In her 35-year teaching career in Brooke County, she taught first grade for 13 years and kindergarten for 18 years at Franklin Primary School. She also coached cheering at Wellsburg Middle School for five years and at Brooke High School for seven years. “I also had the wonderful opportunity to implement the all-day kindergarten program for all of Brooke County schools,” Kowalo noted. She served as Faculty Senate president for several years and represented Brooke County schools in Charleston at state teacher conferences. After retiring in 2007, she obtained her real estate license at Spruce School of Real Estate in Charleston and has been an active real estate agent for the past 12 years, serving Brooke, Hancock, Ohio and Marshall counties. She has been voted best real estate agent on seven occasions; served on the board of directors for the Wheeling Board of Realtors from 2009-12; been its state director from 2011-12; and was top producer in volume sales from 2009 through 2018. Kowalo serves on the regional tourism group; is on the board for the Northern Panhandle Home Consortium; and is a member of the Ohio County Chamber of Commerce and the Wellsburg Chamber of Commerce, the W.Va. Board of Realtors, National Board of Realtors, the Brooke County Economic Development Authority, the Brooke County Planning Commission, the Retired Teachers Association and the House of Hope of the Ohio Valley. Kowalo has two daughters, Kristin Weakland, who resides with her husband, Brian, in Coraopolis, Pa., with their two sons, Brock and Ty. Daughter Kylee Bologna resides in Weirton with her husband, Vince, and their two children, Olivia and Luciano. 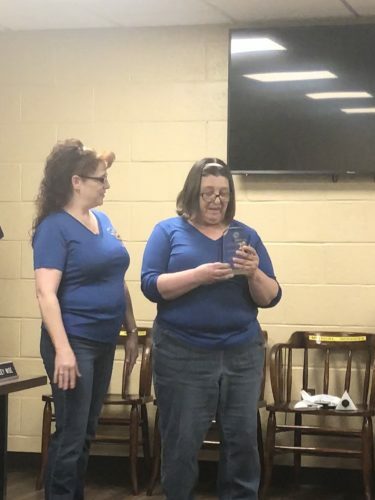 Tricia Maple-Damewood is the president of the Jefferson County Chamber of Commerce and just celebrated her four-year anniversary in that position. She and her husband, Dave, also own The Inn At Brandywine, a lodging and special event venue just outside Toronto that opened in 2006. And, in 2017, they opened Maple Manufacturing in Weirton, a steel shearing and coating business. The couple have two children. Their daughter, Taylor, an Ohio University graduate, lives in Morgantown and is a journalist for Bustle.com. Their son, Evan, is a freshman at Ohio University, majoring in film and communications. As chamber president, Maple-Damewood said she has worked toward making the chamber a relevant and valuable business tool for local businesses that helps them save money, promote their products and services, network with fellow business people and stay informed on topics that can help them be more successful. She said she also believes it to be the chamber’s responsibility to be active and engaged in large initiatives such as making Jefferson County as appealing as possible to new business and being a resource for existing businesses so that they may receive the assistance and support they need to be successful. One accomplishment that she said she is proud of is the chamber’s “Shift Your Shopping” program, which starts on Small Business Saturday and runs through Christmas. It features many events, programs and easy-to-implement ideas that help local businesses capture as many holiday shopping dollars as possible while encouraging residents to support local businesses during the holiday shopping season. Her passion for small business comes naturally to her. Her father was a contractor and real estate developer, and she and her husband have almost always owned at least one small business, the first being a basement waterproofing business that they started before they were married. Maple-Damewood is a longtime disaster volunteer with the local chapter of the American Red Cross and enjoys hiking, cycling, cooking and live music in her spare time. Amelia Taggart has been a member of the Ohio Valley BPW since 2006 when she moved back to the Ohio Valley. She graduated from Ohio State University with a bachelor of science degree in technical education and began her career as a drafter for TrusJoist/Weyerhaeuser. She was hired by DiYanni Homes because of her drafting and technical background where she did estimating and purchasing. She then accepted a position with 84 Lumber in the development department, permitting for new stores. The position required traveling to new site locations all over the country and performing due-diligence and construction requirements to build 84 Lumber Stores. Being back in the valley, she said, meant connecting with friends, including Nick and Joe Bressler, owners of World International Testing, who offered her a position she said she couldn’t refuse. Again, her job would send her traveling to places in Virginia and Washington, D.C., as well as the tops of just about every water tower in the Ohio Valley doing inspections and learning the trade of non-destructive testing. Taggart started her own company doing bookkeeping and consulting, and when the United Way of Jefferson County needed an interim executive director, she stepped in and was willing to help fundraise and streamline its system. When an opportunity for a buyer position opened at TIMET, Taggart applied and now serves as its commodity buyer, which entails procurement of critical supplies that directly effect the quality of titanium produced at the Toronto facility. Deciding to put her degree to use, she taught evening drafting and CAD classes at ITT Tech in Pittsburgh. She now teaches drafting and design at Eastern Gateway Community College. Not able to sit back and see her old neighborhood deteriorate, Taggart said she became a member of the Steubenville Hilltop Community Development Corp. of which she is a past board president and secretary. She was involved in painting several houses on the hilltop. One of the best gifts she was ever given, she said, was from a developmentally disabled resident who, as a thank you for painting his house, presented her with a picture he had colored. In addition to being an active member of the OVBPW, previously holding offices as its president and treasurer, she is a past board member of the YWCA of Steubenville and the Jefferson County Young Professionals. Taggart also holds a current Ohio real estate license and is an agent with DeLuca Realty in Wintersville. She resides in Steubenville with her husband, Tim, and their children, Lizzy and Daniel. Pam (Crouch) Thomas is a 1980 graduate of Wintersville High School. She married Harry Thomas in 1988 and moved to Toronto, where they raised their two children, Melissa Gilham and Corey Thomas. They are members of the First Presbyterian Church of Toronto, where she serves as a deacon. The couple have three grandchildren and one on the way. Pam is the owner of McCauslen Florist of Steubenville, one of the oldest and still-running flower shops in the area, having opened its doors in 1875. She began working there in 1993 along with her husband, Harry, and his father, Harvey Thomas, who died in 2007. She started out as a receptionist there, employing her love of people and talking to them to get to know her customers and what they like. Later, she worked on the accounting side of the business and in human resources. When some health issues forced Harry to step back from the business, Pam stepped in to take over the family business. With her husband by her side, teaching her and guiding her, Pam said she knew she had to keep the family business going by digging deep into her artistic ability with her love of making fresh flower arrangements. She built her own website for the business, posting pictures that showcased some of her own designs along with designs from Harry and other employees. In the 1990s, she ventured out to aid in several charity events, chairing, for example, the Friends of A.L.I.V.E. charity ball to help raise money for the A.L.I.V.E Shelter that aids individuals in abusive situations. She helped organize the flower shop’s role in housing the American Cancer Society “Daffodil Days” and the Steubenville Kiwanis Club rose sale. The business also contributes to the Ohio Valley Health Center gala in addition to local schools and churches. Pam became a board member of the Jefferson County Chamber of Commerce in 2015. At one Project Bootstraps, a program that helps budding entrepreneurs find out what it takes to start and successfully run a small business, Pam was one of six area business owners and the lone woman asked to speak to the students wanting to pursue their dreams of being their own boss. She offered her perspective and experience as a woman running a successful business. With her love of family, faith and community, Thomas said she continues to strive to help others in their everyday needs. Weaver is from Follansbee, and her 23-year career in radio advertising ended when she was the general sales manager for WSTV/FROGGY/WOMP stations. This experience, however, led to her opening her own advertising agency in 2000, Weaver Media Group, which is now operating more on a technical level with her son, Lakin Weaver, working with clients on computer network planning, equipment installation and hardware and software support. In 2006, after 13 years on the board of directors at the Weirton Christian Center and working with children at church for 18 years, Weaver was appointed as the center’s executive director. Starting with approximately 45 children in free preschool, afterschool and summer programs in 2006, the Weirton Christian Center has grown to annually serving more than 200 children from the age of 3 to 18, and their families. The center offers van transportation, lunch, dinner and basic necessities. In order to help with their learning process, the Weirton Christian Center offers computer labs with software for reading, math, social studies and science, Weaver explained. Students from the Franciscan University of Steubenville help them with their homework, and the children are rewarded for doing well in school, with the “Quarters for Grades” program. The center recently moved into a newly constructed building on Ivy Street in Weirton. For this reason, she explained her focus has shifted from advertising to the Weirton Christian Center. “Afterschool care, preschool and summer programs that provide for their needs — spiritually, physically and mentally — will be what makes the difference in their lives and ultimately, the community and the world,” Weaver noted.